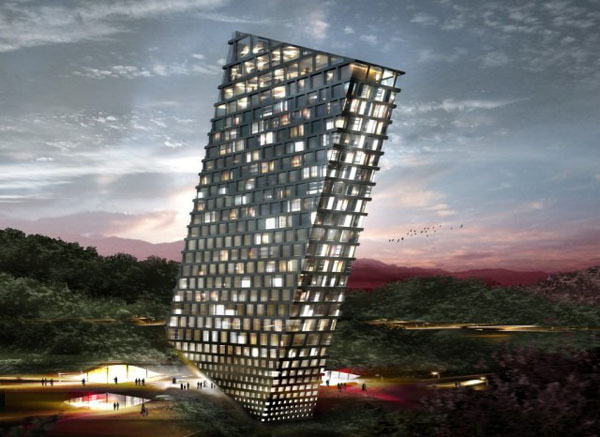 Architects at BIG designed a high-rises that will reshape the city of Guiyang in China. 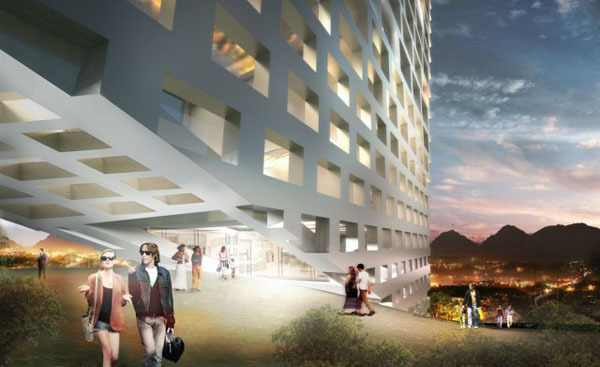 Among several other international architects, BIG will help redefine Guiyang’s Huaxi district, the city’s educational and cultural center. By proposing a generic hotel slab on one of Huaxi’s mountain slopes, architects envisioned a new and unique landmark, attracting visitors to an area already known for its touristic appeal. 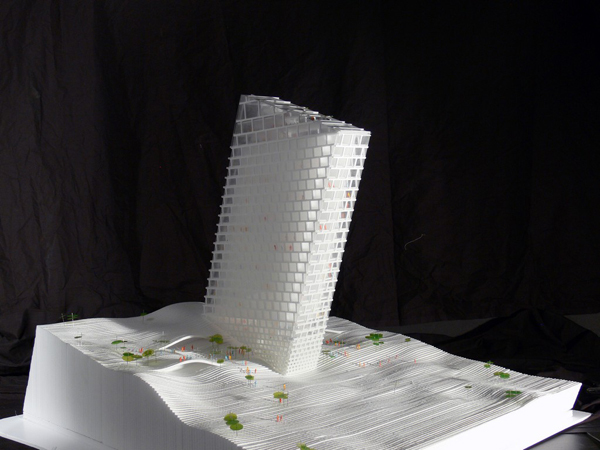 Generic structure of the hotel is redefined through its sculptural interpretation. 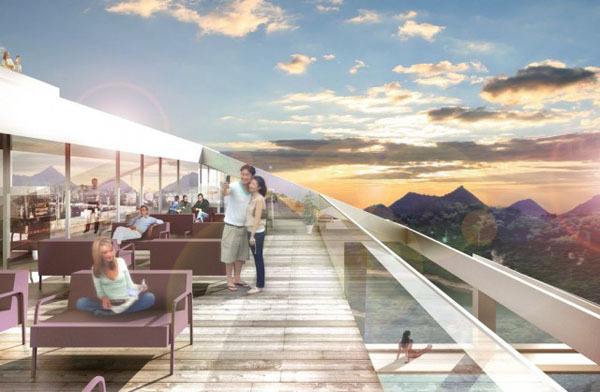 However, the leaning of the building towards the center of Huaxi is rooted in a functional logic: the aim is to minimize the hotel’s influence on the view from the central lake to the mountain, while improving its own visibility. The design incorporates interventions within the surrounding landscape. Gentle openings are cut into the slope, facilitating shopping and parking spaces. The design introduces the underside of the building as the sixth façade. 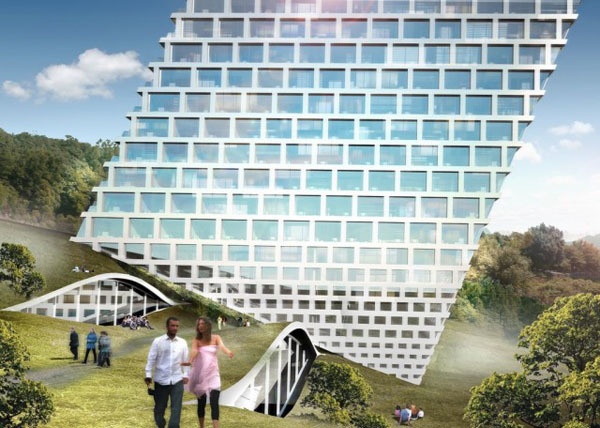 In this segment of the design, nature and architecture are intertwined. 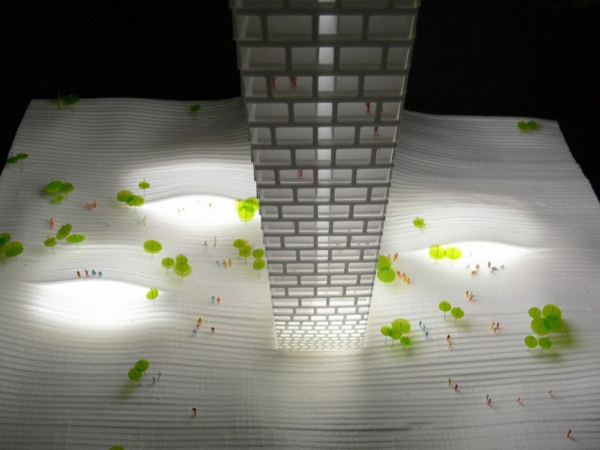 The landscape penetrates the building, goes underneath it offers the possibility to cross it on foot.